Sometimes it’s advantageous to put our data in tables in Microsoft Excel. 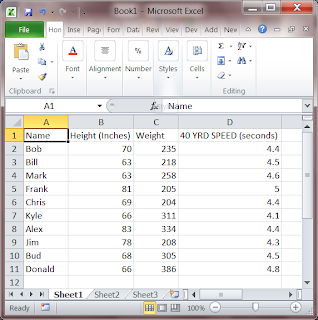 If you want to reference, analyze, format, sort, or filter, you will probably want your data in a table. 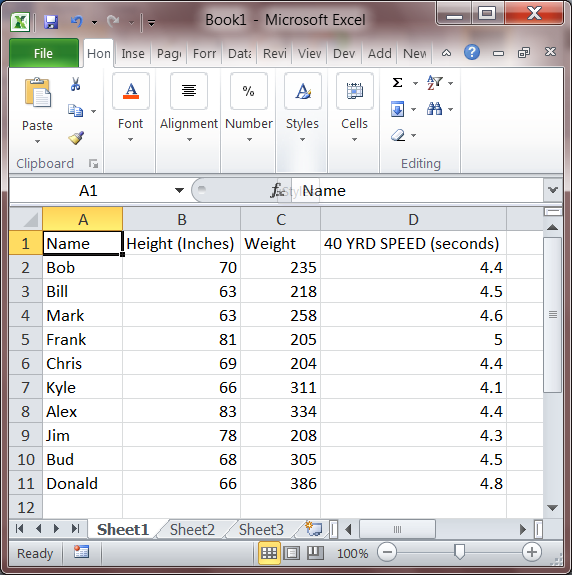 To quickly create a table, follow these simple steps. 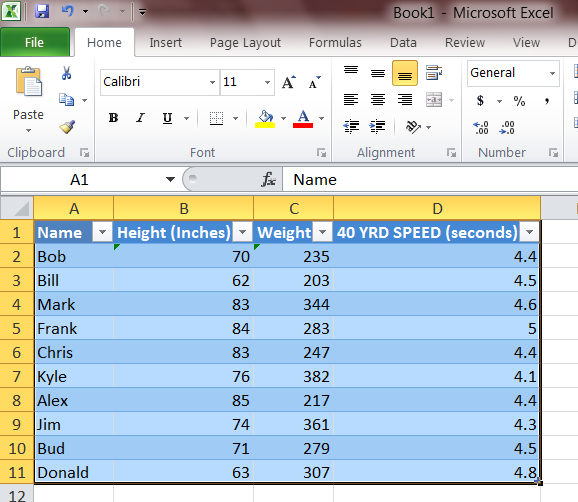 Step1: Type in, or import your data, in this case I’ve taken the liberty of creating a set of dummy data as an example. 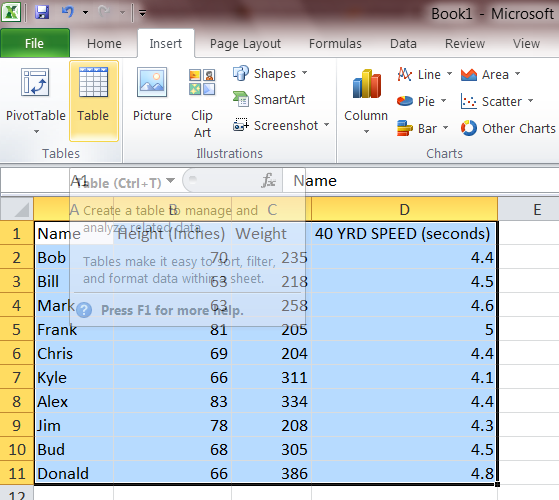 Step2: Highlight your data, then go to the “Insert tab” and left click on table. Alternatively you can press ctrl+t and pull up the same menu. 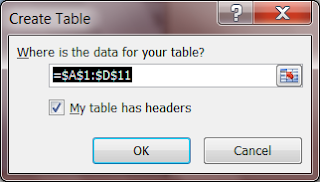 You should now see the “Create Table” Dialog box. The range which you had selected should appear in the box, like in the picture below. Note that the “My table has headers” option is checked. 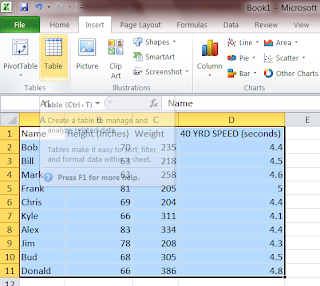 Hit okay and you should now have data formatted in a table. It should look similar to below. Now that you have a table there are many things you can do with your data, those should be covered in later posts.